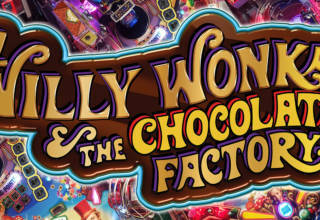 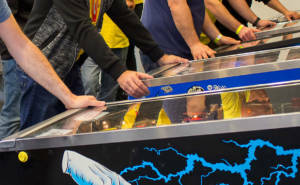 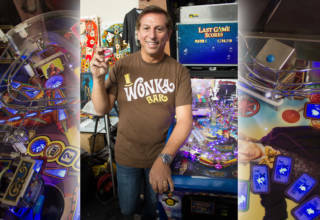 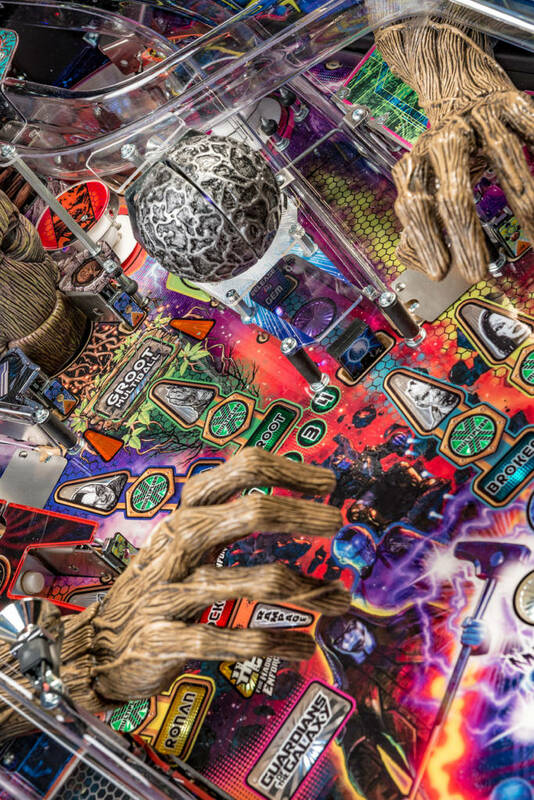 Stern Pinball today revealed details of their next game. 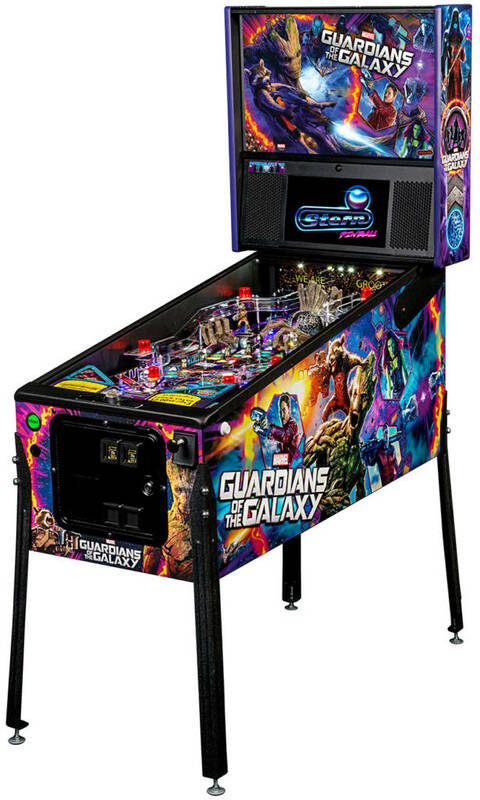 As anticipated it is based on the Marvel licence, Guardians of the Galaxy. 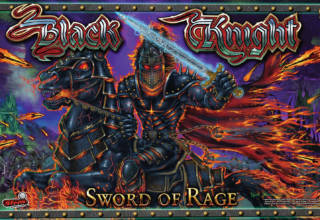 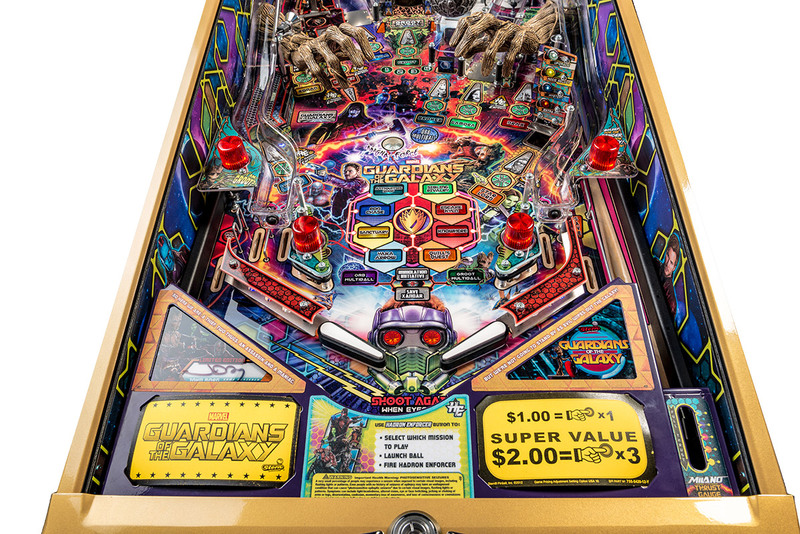 The game comes in the usual three variants – Pro, Premium and Limited Edition. 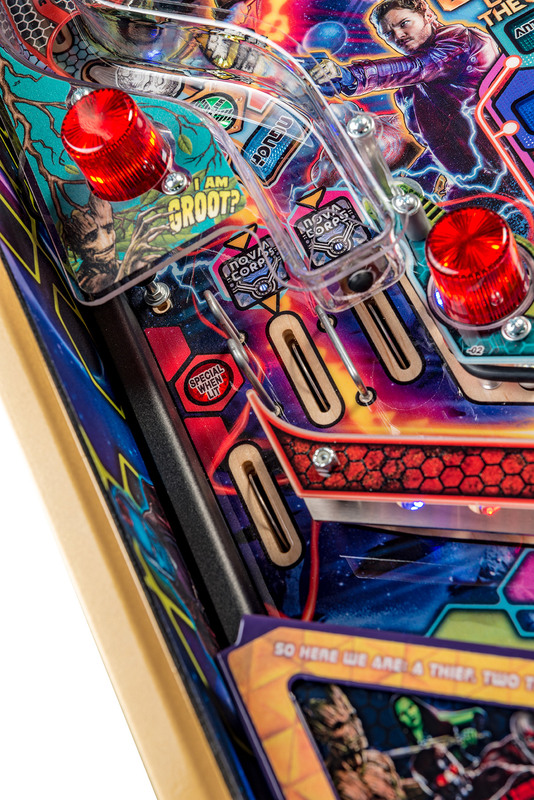 Here are pictures of the cabinet and backbox from the three versions. 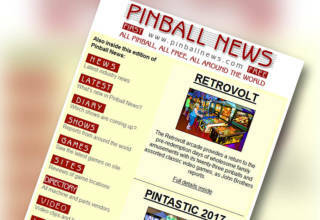 Moving on to the playfield, here are the layouts for the three versions. 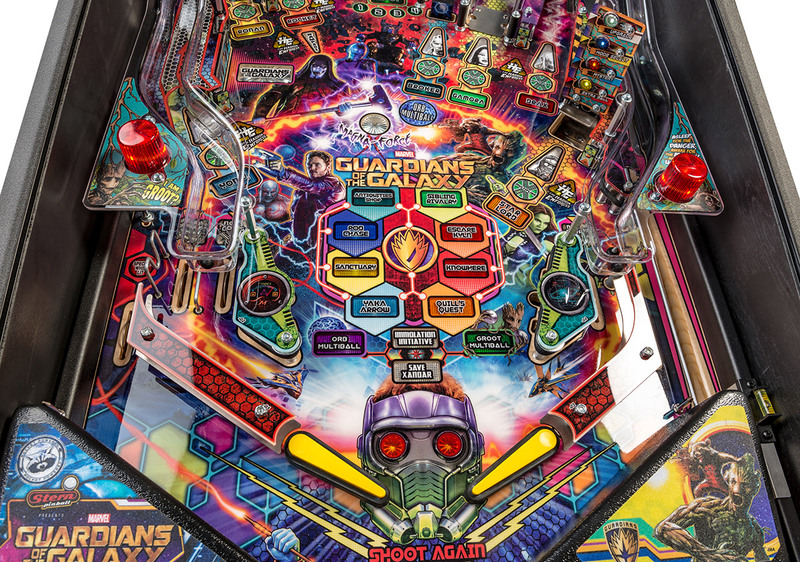 As usual, the Premium and LE playfields are the same other than the gold trim on the LE. 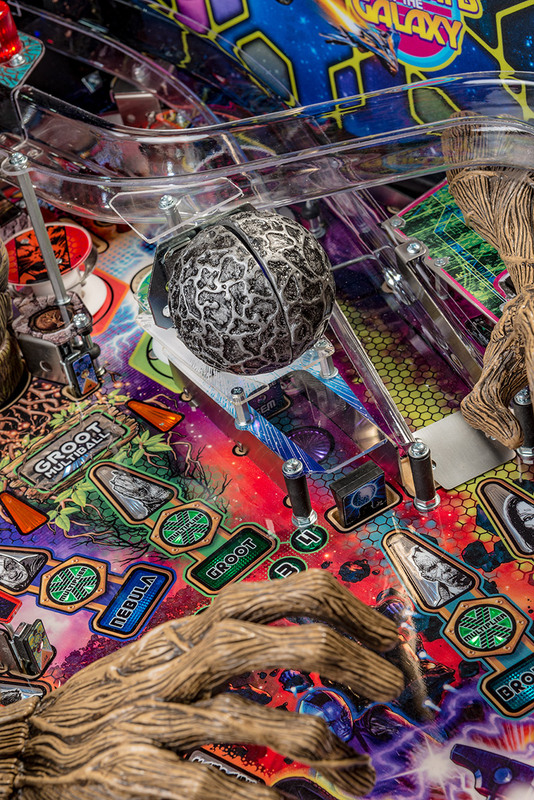 Let’s take a look at some of the playfield details, starting with the LE version. 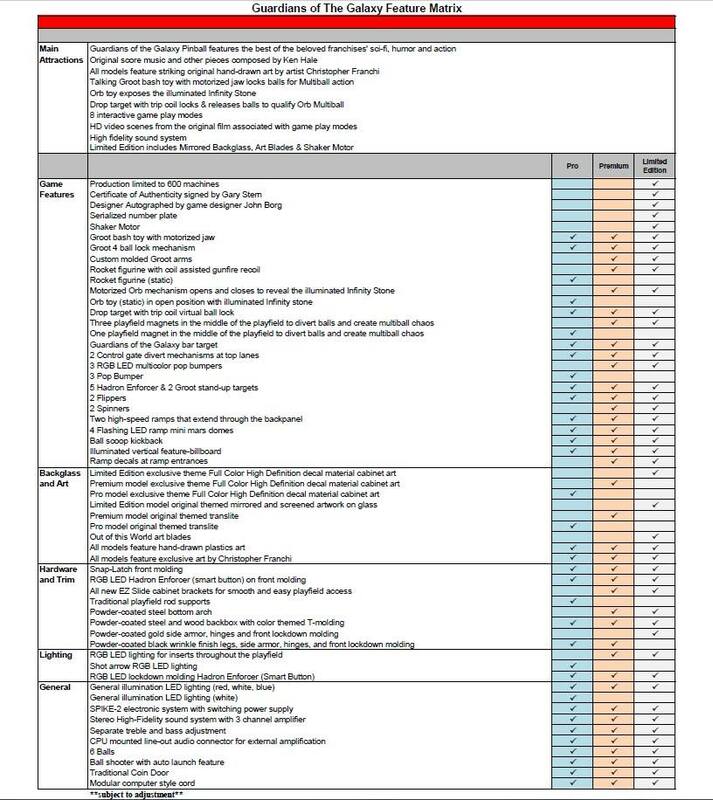 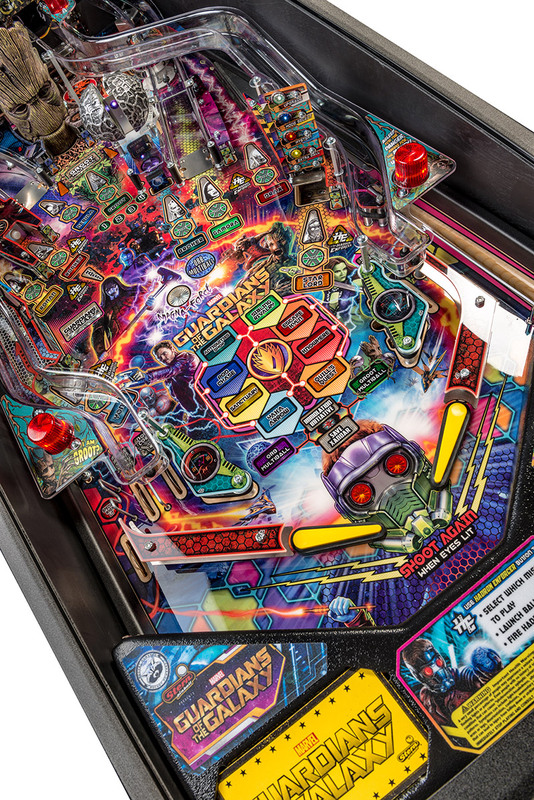 Before we turn to the Pro playfield, here is the list of features included on each of the three models. 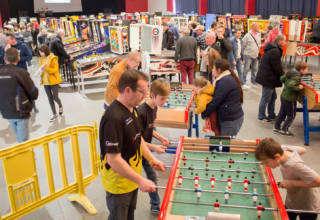 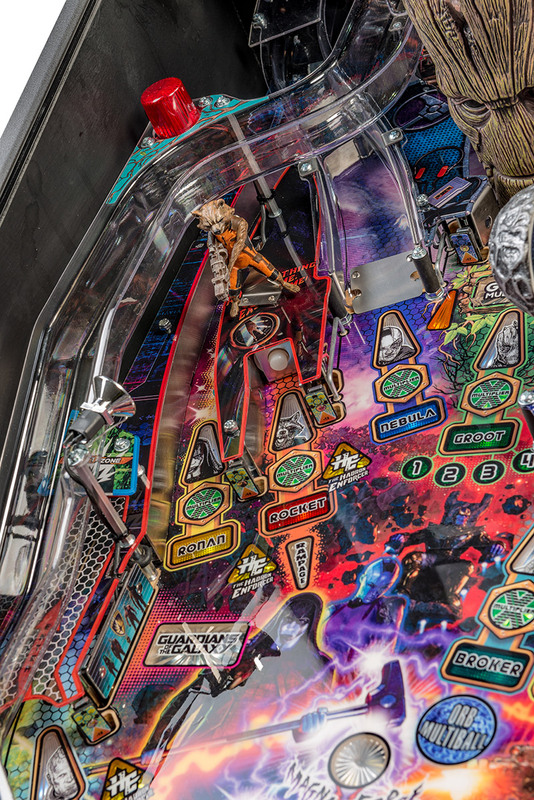 So here’s the Pro playfield. 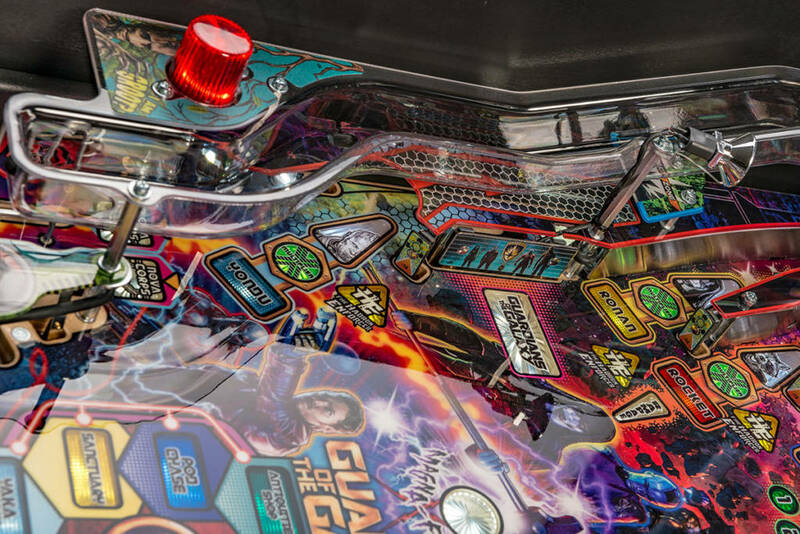 Details are just coming in so we will be adding lots more information over the next minutes and hours, so check for the latest updates to this page. 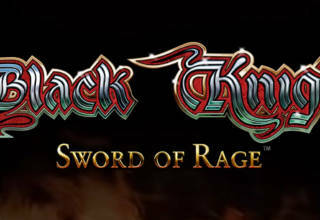 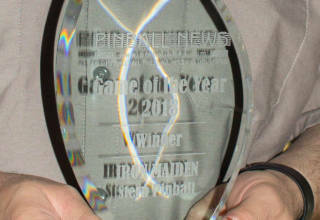 In the meantime, here’s what Stern had to say about their new title. 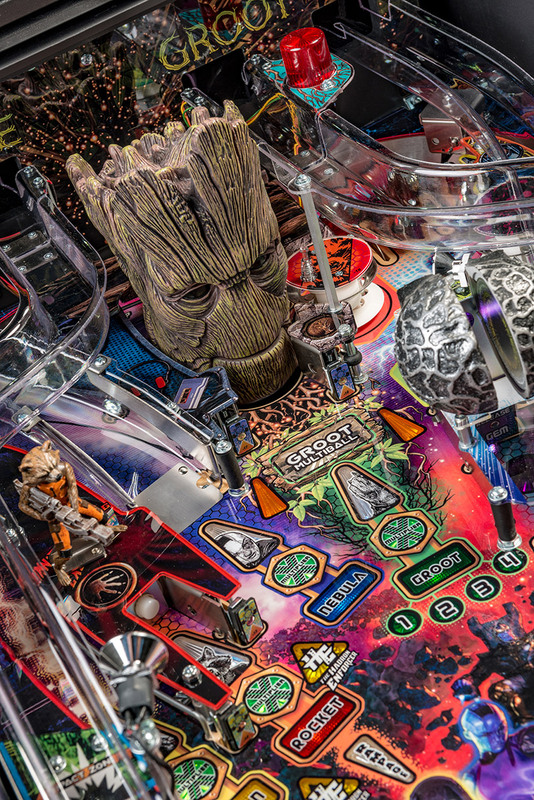 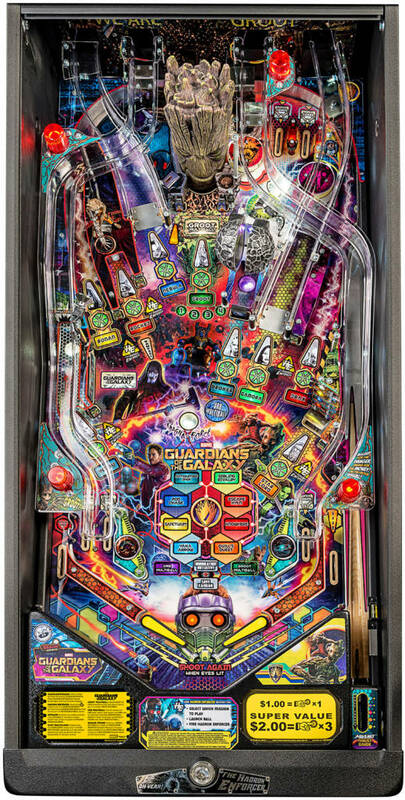 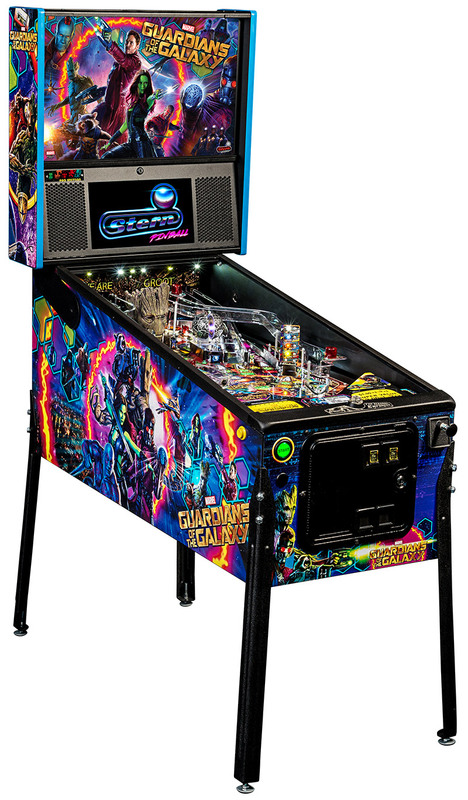 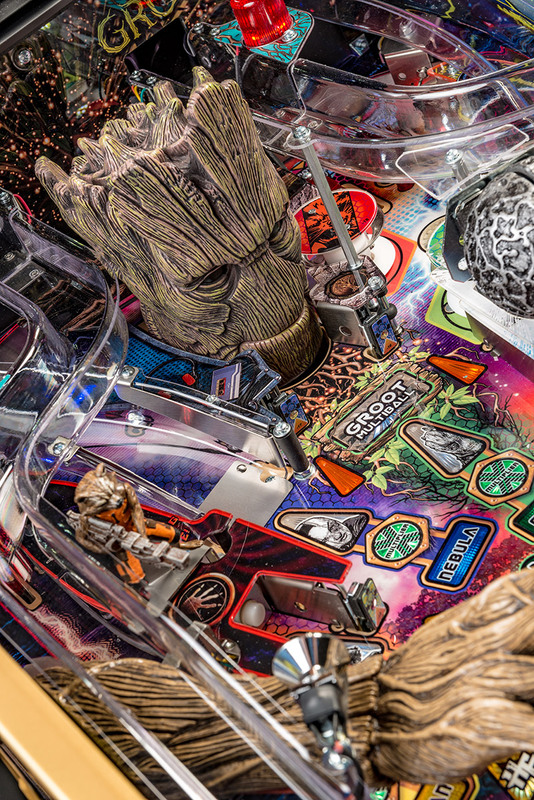 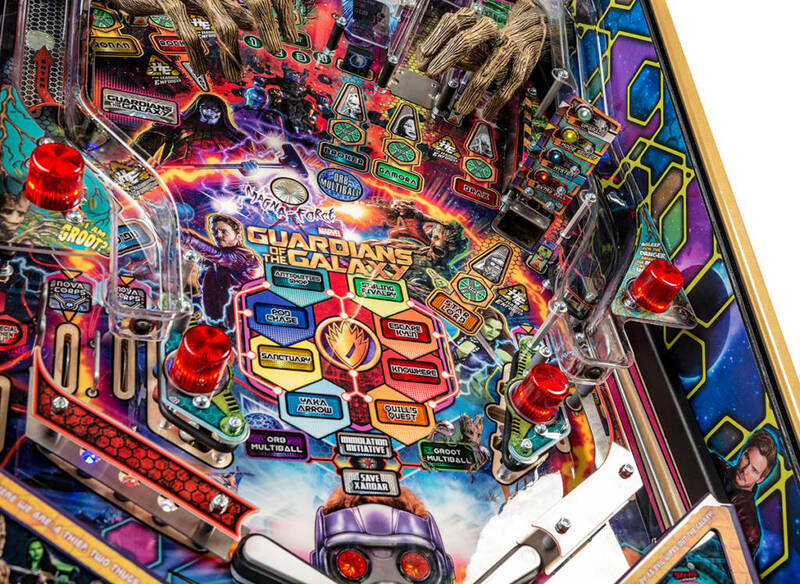 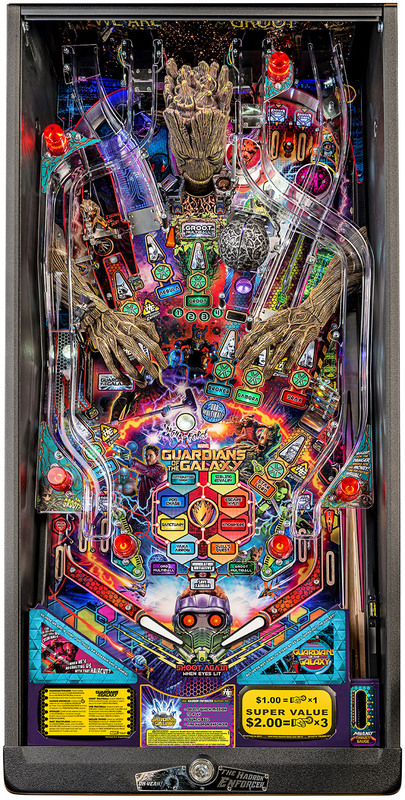 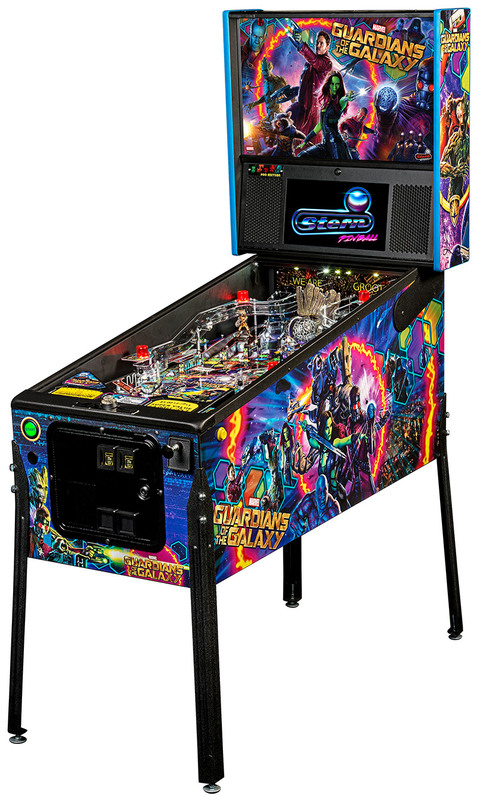 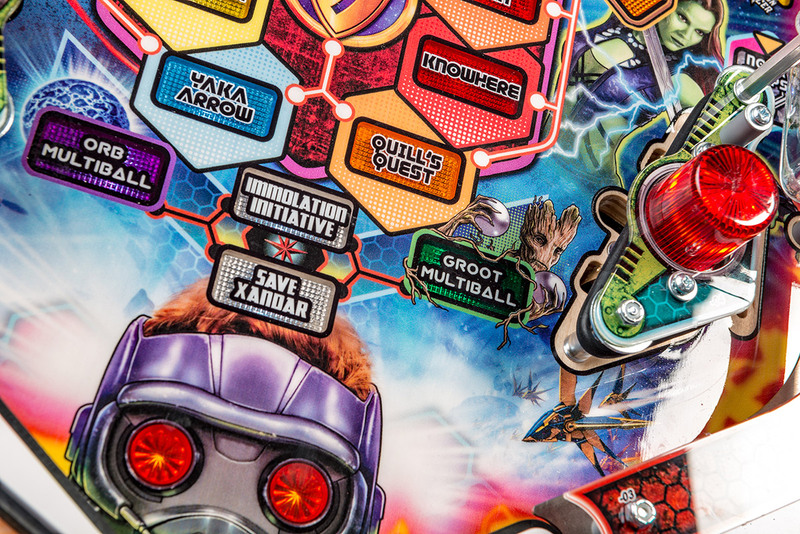 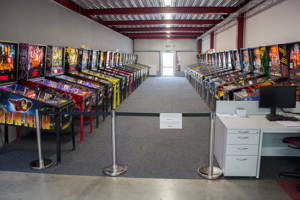 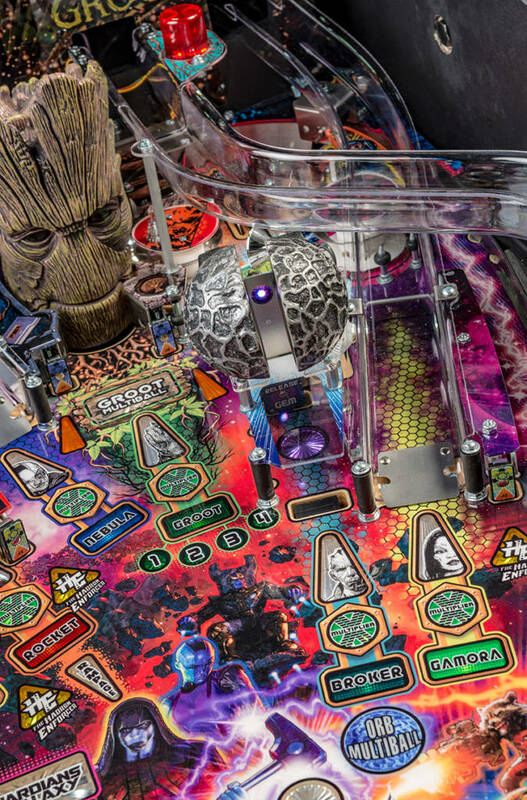 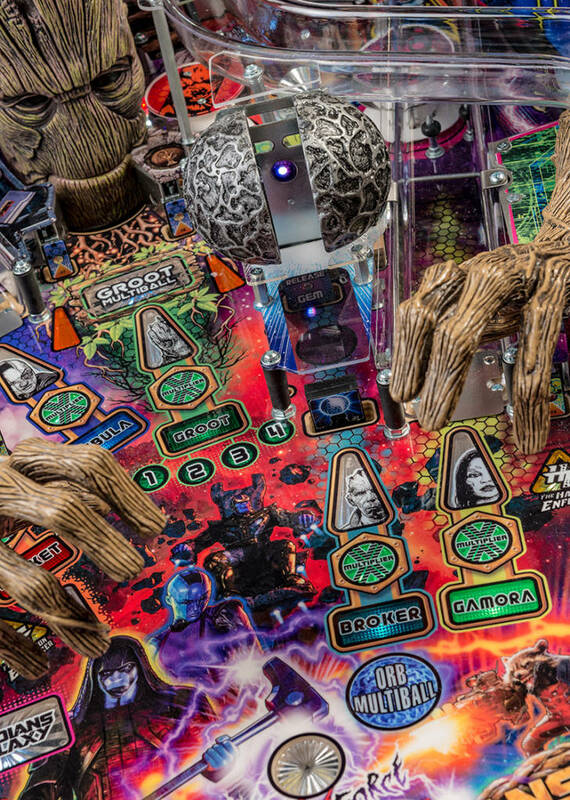 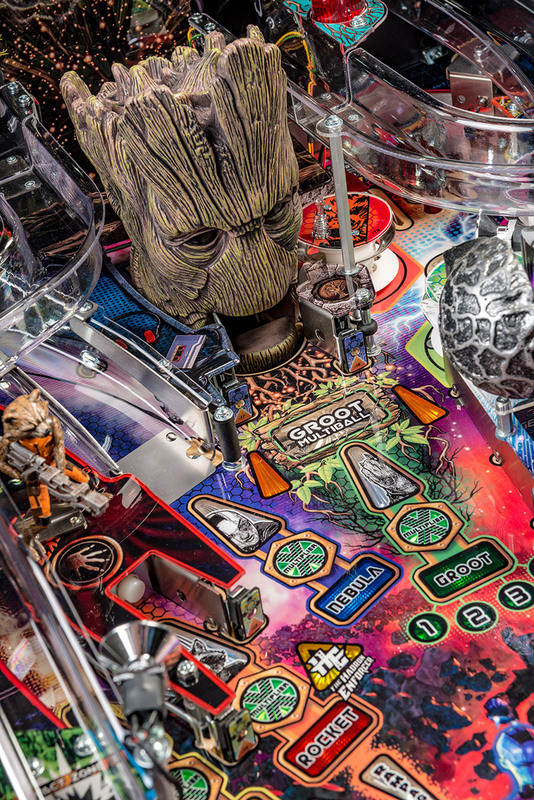 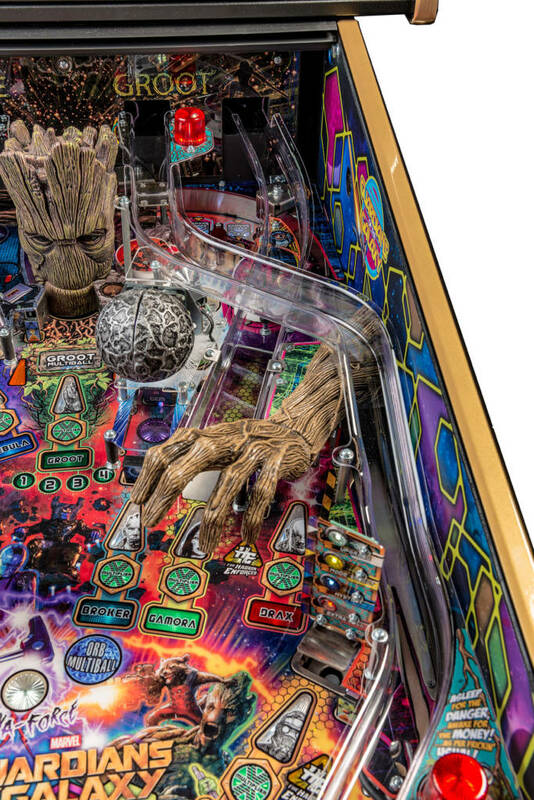 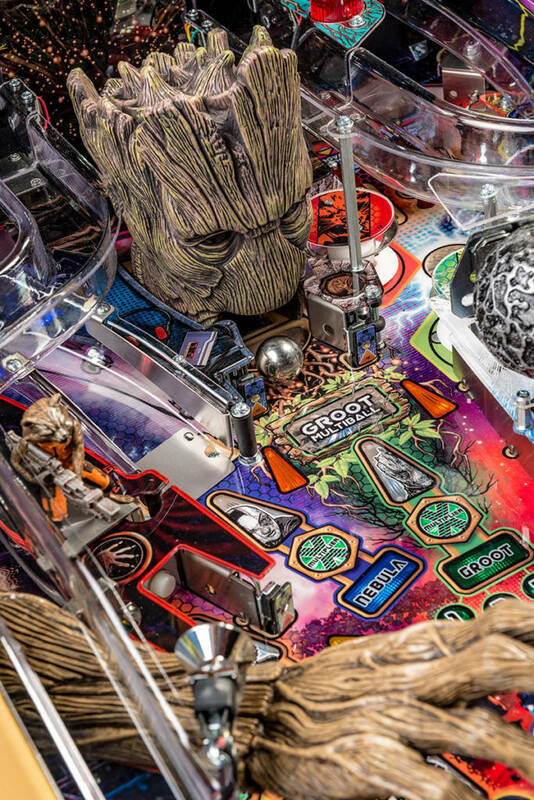 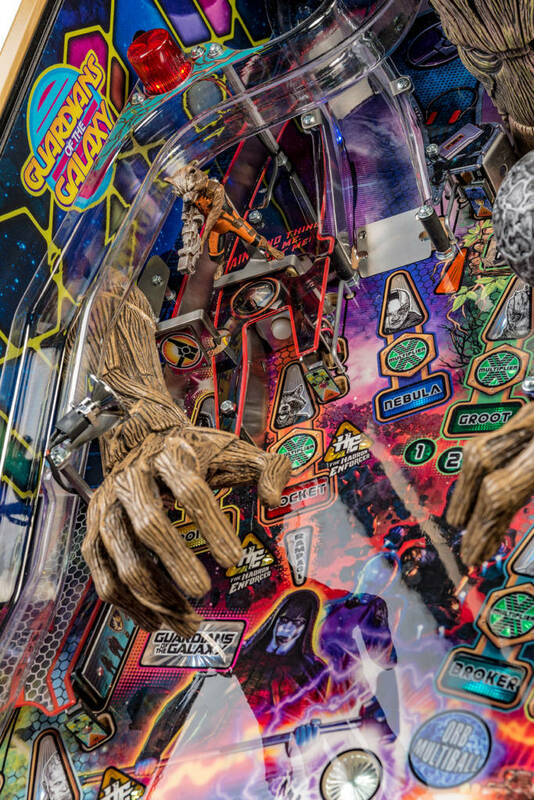 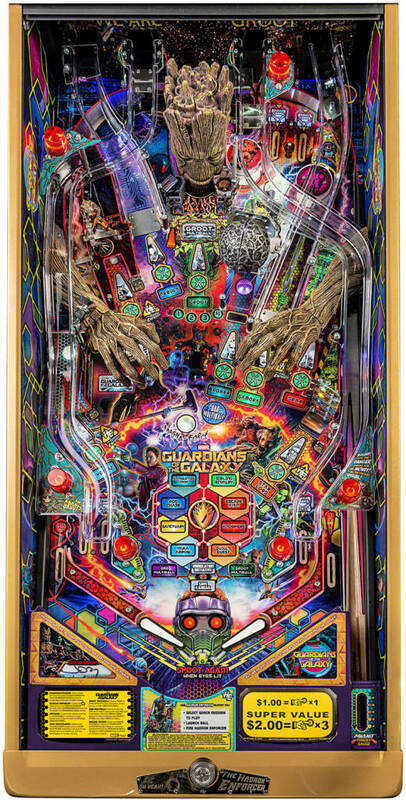 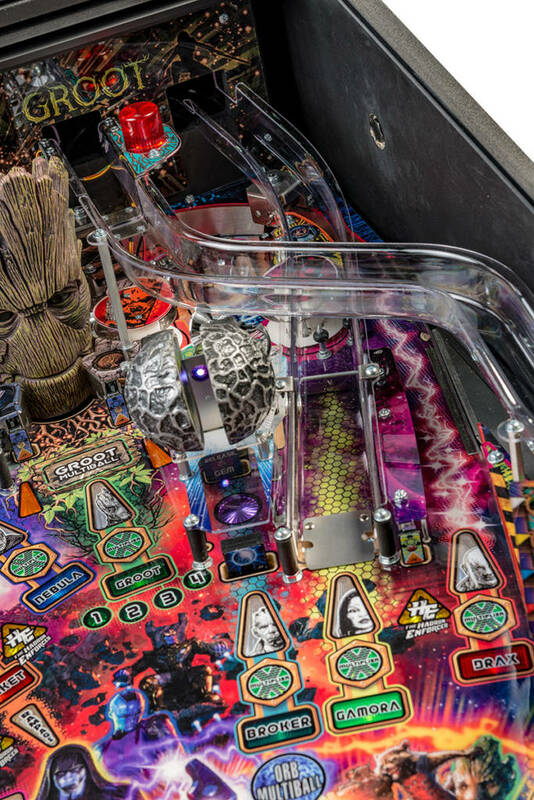 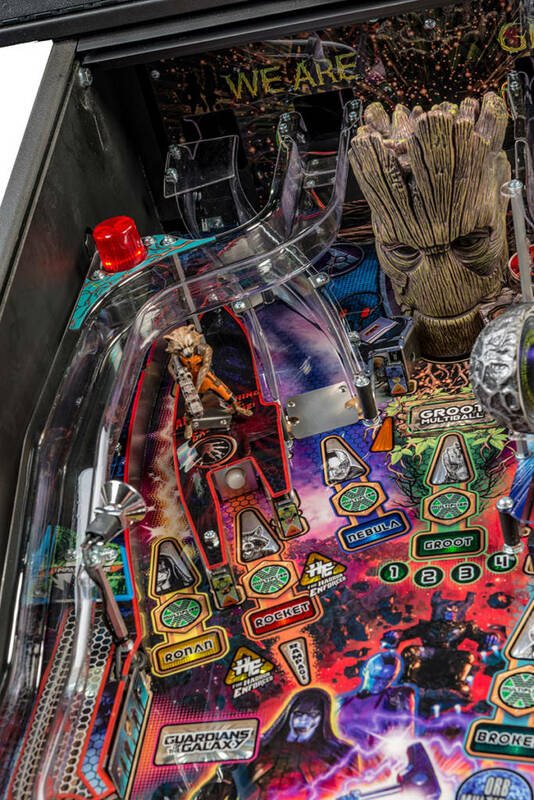 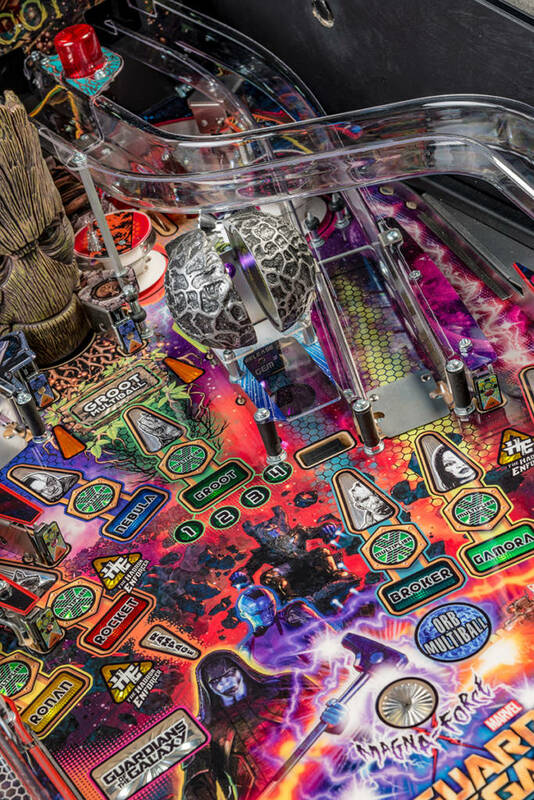 ELK GROVE VILLAGE, IL – October 31, 2017 – Stern Pinball, Inc., the world’s oldest and largest producer of arcade-quality pinball machines, proudly announced today the availability of a new line of pinball machines celebrating the popular movie franchise, Guardians of the Galaxy. 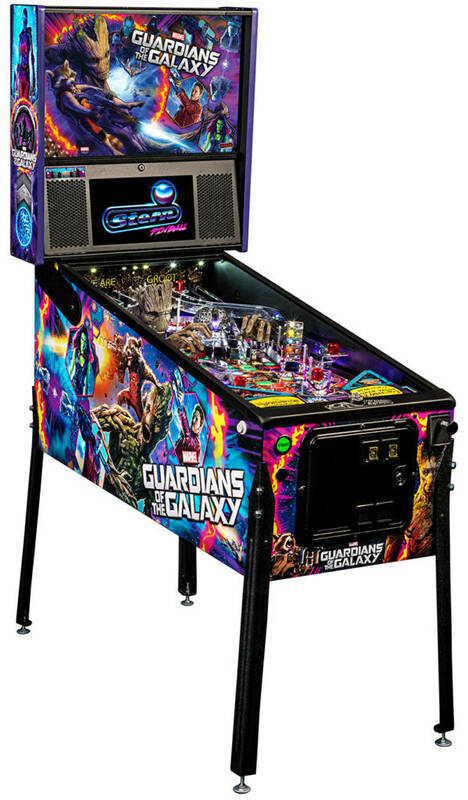 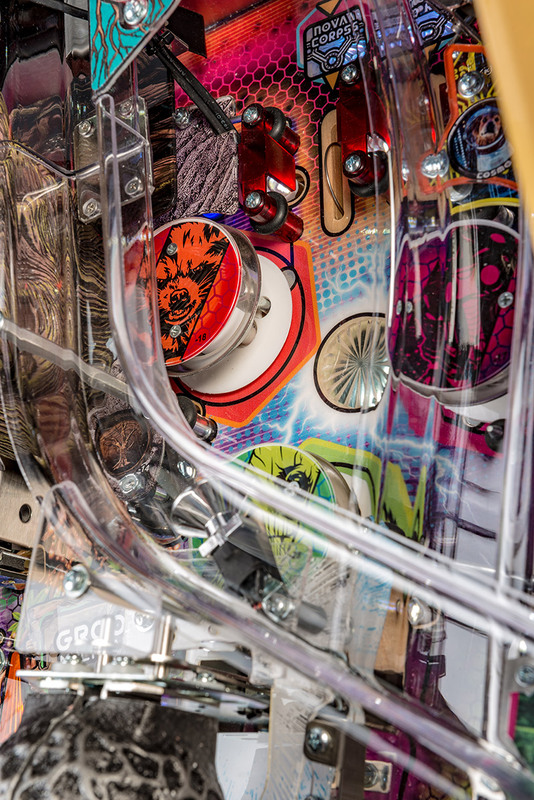 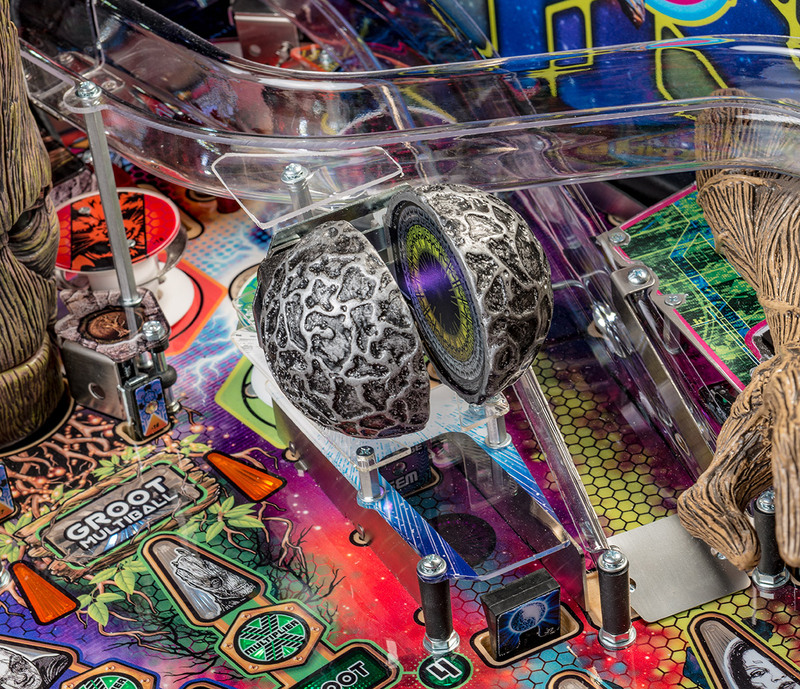 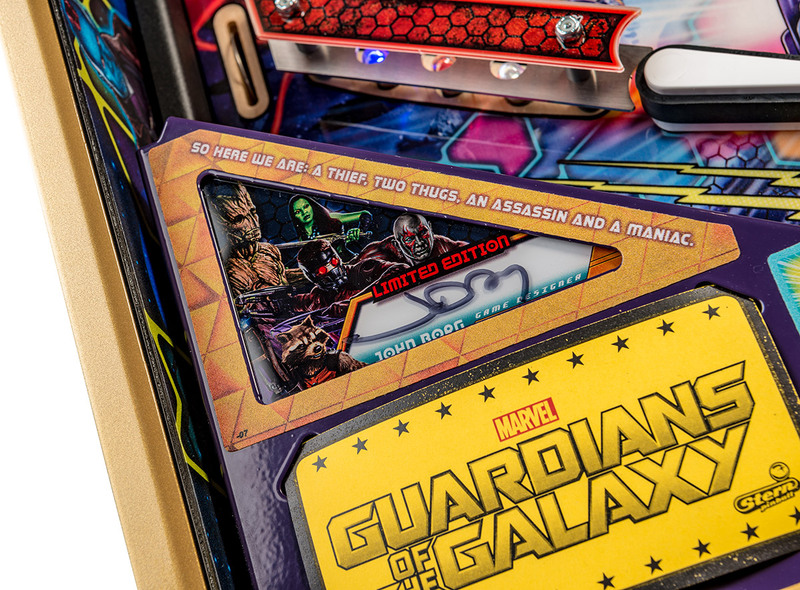 Guardians of the Galaxy pinball machines will be available in Pro, Premium, and Limited Edition models. 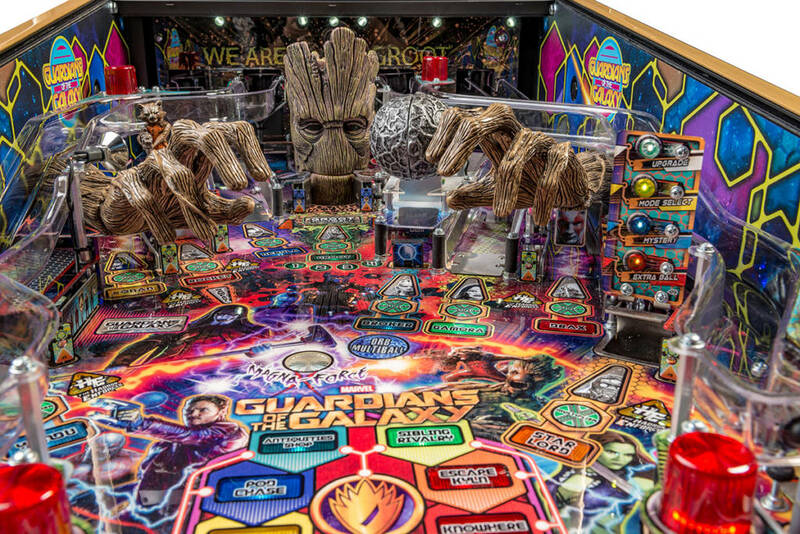 The Guardians of the Galaxy are a fictional intergalactic superhero team based on the successful American comic book series published by Marvel Comics. 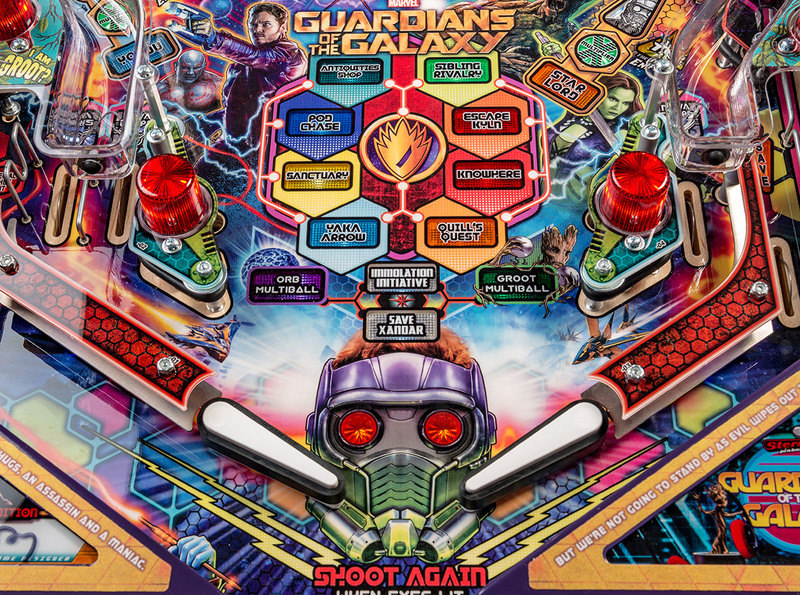 The game will immerse players in a dynamic, challenging, and galactic pinball environment where Star-Lord, Rocket, Gamora, Drax the Destroyer, and Groot battle Ronan to stop him from using the Infinity Stone to destroy the galaxy. 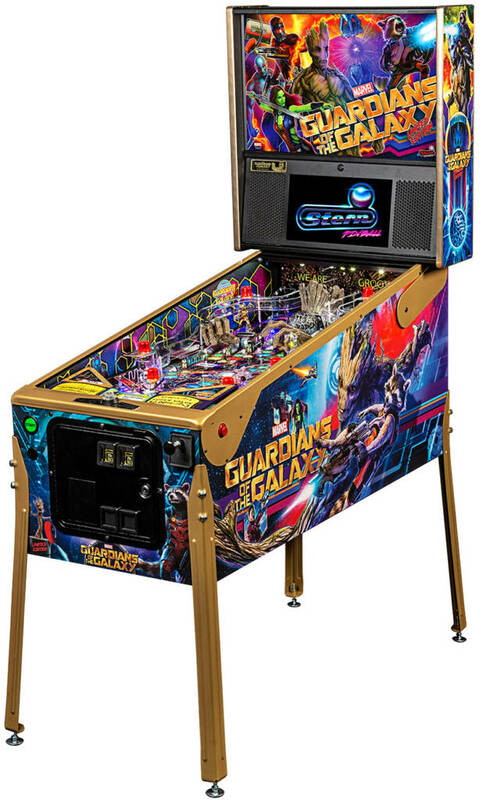 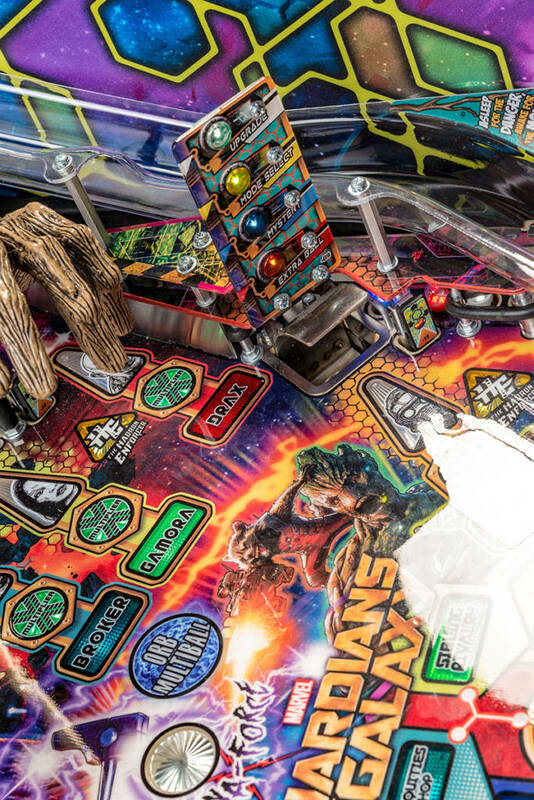 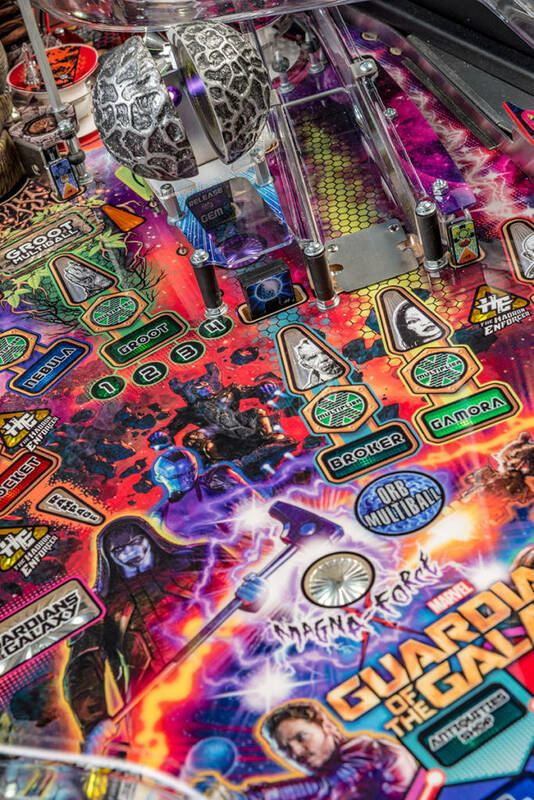 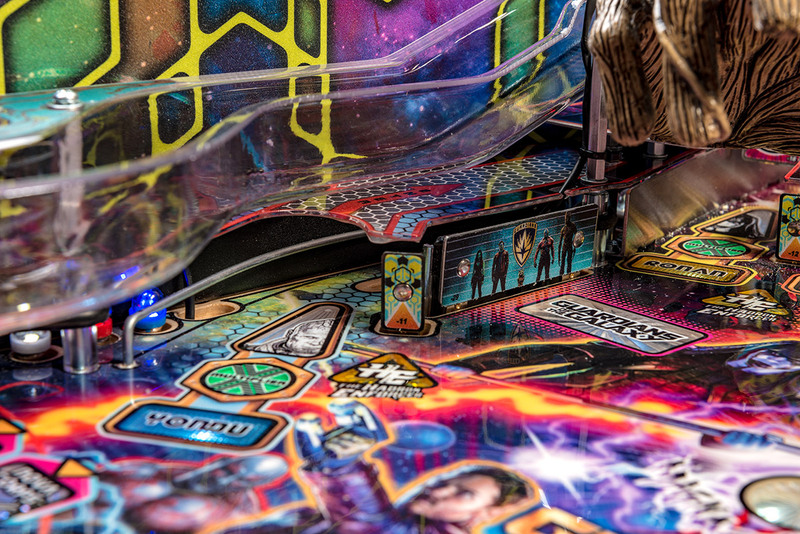 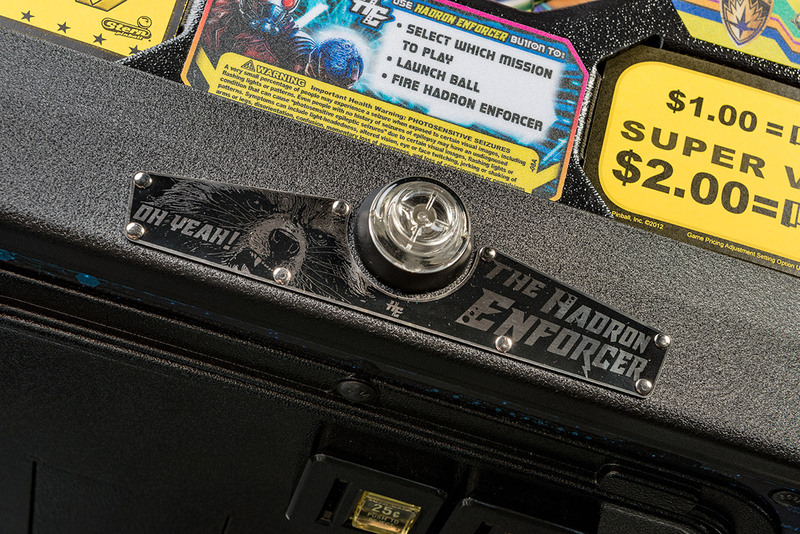 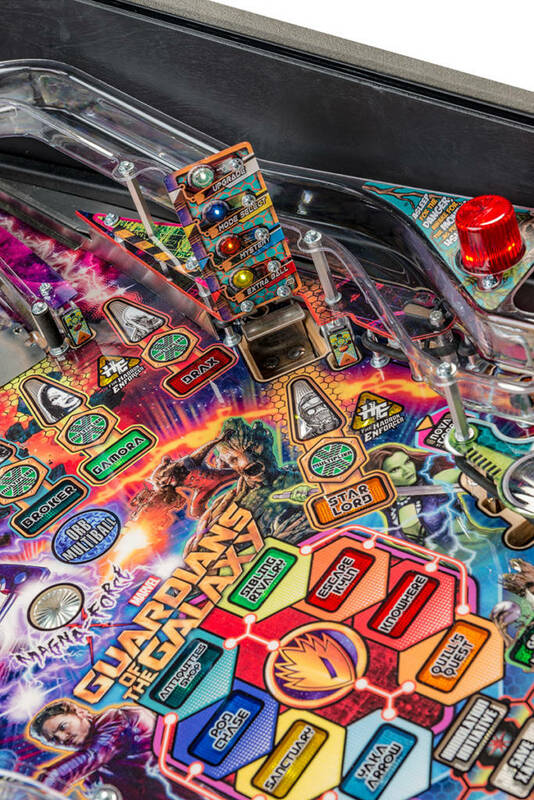 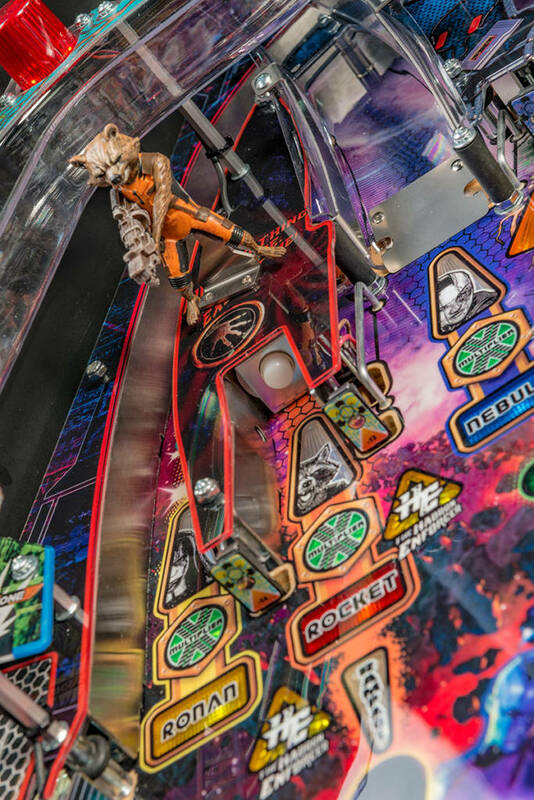 Guardians of the Galaxy pinball is available through authorized Stern Pinball distributors and dealers around the world.